Standing in the courtyard, the landlord’s wife affirms her innocence. She doesn’t understand that her innocence is moot; there is only the acceptance or rejection of her self-criticism. “Quick, t’an pai, confess! Where’s the rest of your money? And your jewelry? Where did you hide them?” a Positive Element shouted at her. Think you’re going to die now? That easy?” Pao could not help laughing out loud. 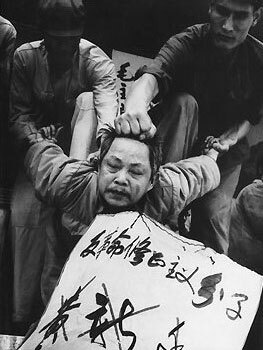 Struggle sessions – sessions of public denunciation, beatings and humiliation – were held throughout Mao Zedong’s regime. These sessions were not trials. They had little to do with discovering the real nature of people’s “crimes”. In Maoist China, neighbors and co-workers were coerced to inform against loved ones, colleagues and friends, and convince them to confess (t’an pai) to accusations brought against them by the government. It did not matter if the accusations brought against you were real. A person was expected to agree that the accusations were true; forgiveness was then up to the Party. Self-criticism was the most important part of a struggle session. In a struggle session, individuals were, in effect, forced to inform on themselves, under the pretense that it was both in their own, and society’s best interest. 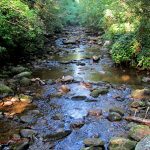 “The struggle of the Three Anti’s will strike like a violent storm,” Liu Ch’uen remembers hearing, “assailing everybody, both the good and the bad. Only thus can we make certain who might survive and who must be exterminated.” Ostensibly, struggle sessions were created to cleanse Chinese society of counter-revolutionary thinking. Actually, they created a society of split personalities. Chang herself never directly experienced Maoist persecution. But she did not escape the weird reality of 20th century China. 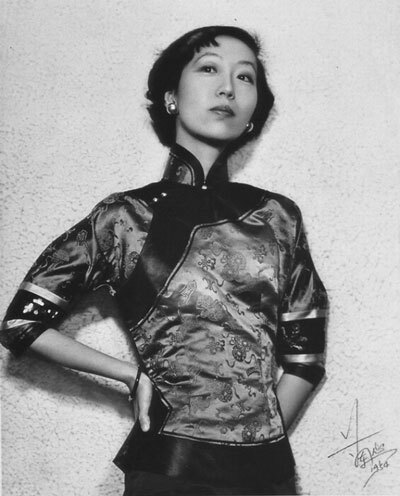 Eileen Chang was born in 1920 to a decaying aristocratic family in Shanghai. In several autobiographical works, Chang wrote of her Westernized self-indulgent mother (who managed to leave her husband and two children in China for several years while she traipsed about Europe on bound feet), and her opium-addicted father who once, after an argument, beat Chang and imprisoned her in her room, where Chang contracted dysentery and languished in bed through an entire autumn and winter, without medical care. In 1944, Chang married Hu Lancheng, a prominent editor and notorious pro-Japanese collaborator. The marriage dissolved three years later at the war’s end when Hu went on the run, enjoying the company of several other women in hiding. Eileen Chang started writing early, completing her first novel at the age of 12. By the time the Communist government came to power, Eileen Chang was a well-known writer in China (now considered by many to be China’s first modernist). Dubious about her role in this new society, however, Chang chose self-imposed exile. She moved to Hong Kong, then Japan, then back to Hong Kong, and eventually to Los Angeles, where she died alone in her apartment in 1995. Chang never again returned to mainland China. In Hong Kong, America became Eileen Chang’s patron. For three years, she worked as a translator for the United States Information Service. Then the USIS hired Chang to write anti-Communist propaganda in the form of two novels: The Rice Sprout Song and Naked Earth. Wanting propaganda, the Information Service encouraged Chang to be unsparing in her depiction of China’s confessional spectacles. And so she was. In another early scene from Naked Earth, a Mass Meeting is held in the vacant lot in front of an ancestral temple. Tang, a Middling Farmer (neither unfortunately rich nor blessedly poor), is brought to a platform for his session. Schoolchildren wave paper flags and sing loudly. They are accompanied by militiamen, members of the Farm Workers Association, the Women’s Association, the Youth Vanguard Corps. On the platform, Tang is silent. He is shouted at and spat upon. Refusing to defend himself or confess, Tang is eventually beaten. In Mao Zedong’s China, one of the first things to go was privacy. Every bit of private space was on display, even the space between lovers, even one’s own psychological space. A country filled with shouting smothered the more insidious sound of whispers. Every feeling, every act, was reduced to a slogan: Felled in the Struggle. Draw the Line Clear. United with Actual Circumstances. Isolated Retrospection. Toward the end of Naked Earth we find Liu in jail. The room is crowded with twenty men. And yet, the scene Chang creates is acutely intimate. Perhaps the most remarkable aspect of Eileen Chang’s writing is her attention to detail. Reading Chang, you are at one moment learning about the History of China with a big ‘h’, and then the next moment you are made to notice the scratching of a microphone, or an incense stick placed just like that in the snow, or the particular folds of a robe over a chair. Chang is often described as a cinematic writer. But for Chang, details are more than atmosphere. The fact that Chinese literature is full of sadness is due to lack of belief in anything. It takes pleasure only in material details (hence The Golden Lotus and Dream of the Red Chamber set out the menus of whole banquets in exact particular and with unflagging interest for no other reason than fondness), because the details are normally pleasant, satisfying and absorbing, while the main theme is always gloomy. All general observation of human life points to emptiness. What a beautiful antidote in these first 80 chapters – in which nothing important happens – to the simplistic Maoist slogans with capital letters which tried to rid China of its messy love of details. Details, for Chang, were the “vivid and close texture of life.” They were the humanity of Chinese people. Details – like shiny, sparkling pinwheels – distracted Chinese people from life. And details brought them closer to it. 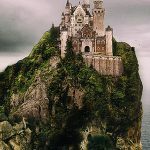 In Naked Earth, we as readers are forever being pulled into and pushed away from the lives of Chang’s characters, just as they are sucked out of their lives into the sea of History, only to be pushed so far back into the tragedy of their personal experience it seems like they might never escape. The voice playing over the microphone in Liu’s jail room is the voice of unreality. But by noticing every last crackle, that same voice reminds Liu of himself. As anti-Communist propaganda, Naked Earth fails in this respect: It doesn’t have any heroes. Chang’s protagonists are always compromised, always naive, always believing in big ideas and always getting wrenched back into the petty inessentials. As the landlord’s wife lies helpless and bloody, begging for mercy, no one comes to her aid. But then, the sun comes in from under the eaves and lights up her body. A fly moves through the sunlight and turns “gold all over.” It circles and settles on her nose, “which had been beaten into a blob.” Eileen Chang was not afraid of the petty inessentials. Petty inessentials, for Chang, were more important than plot, or mood, or character development. 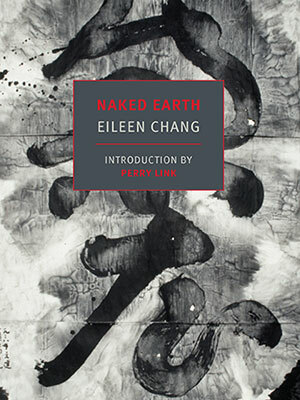 In Naked Earth, Chang resists both the brave Socialist Realism of Communism, and the heroic, redemptive literature of her American patrons. 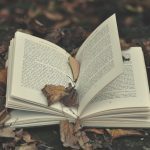 Naked Earth is a book of profoundly petty inessentials, of lowercase letters, of personal – rather than national – redemption. I like tragedy and, even better, desolation. Heroism has strength but no beauty and thus seems to lack humanity. Tragedy, however, resembles the matching of bright red with deep green: an intense and unequivocal contrast. And yet it is more exciting than truly revelatory. The reason desolation resonates far more profoundly is that it resembles the conjunction of scallion green with peach red, creating an equivocal contrast.